Being his first solo record, Tuomas Holopainen did an outstanding job of creating a masterpiece that is very different from anything he has ever done in his primary band, Nightwish. 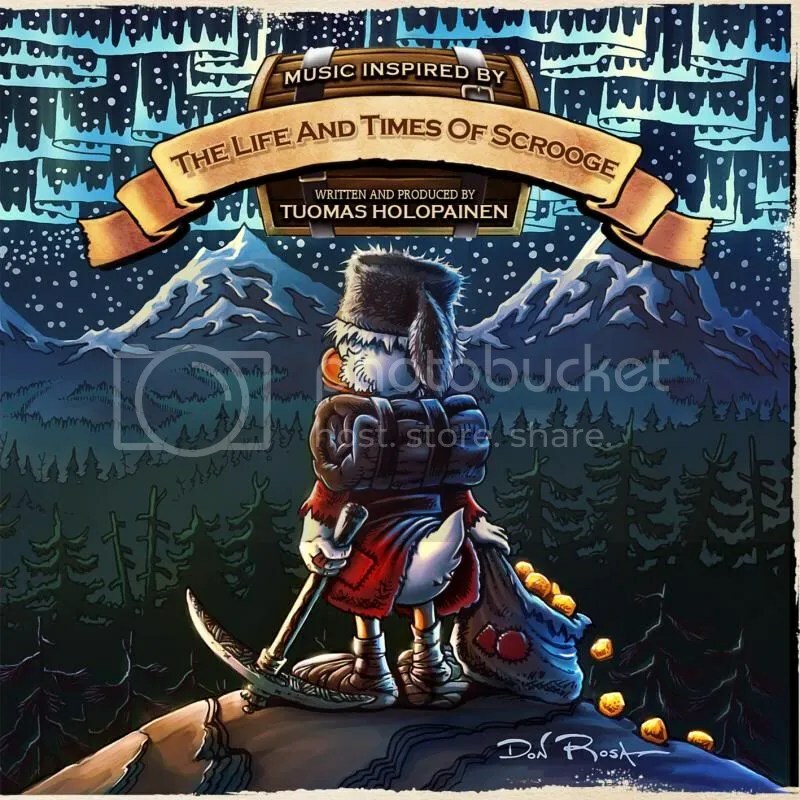 This is a concept album that is based off of the Disney novel, The Life and Times of Scrooge McDuck, and if this book did have a movie, I’m confident that this album would be the soundtrack. There are, of course, keyboards and a symphony which doesn’t branch too far from Nightwish, but there are also elements of folk heard at different times which gave this the light-hearted, childish feel you might get from a Disney movie. Many musicians helped to create the album, and most of them were not from metal bands. However, Tony Kakko of Sonata Arctica played the part of the “storyteller” and one of Nightwish’s newest members, Troy Donockley, played the pipes and whistles. I like that even with the help of metal musicians, it still did not derive away from the over feel of the album. There are some times when songs definitely were a bit more aggressive and heavier, and that subtle influence was enough to remind me that this album was made by a metal musician. One track in particular, Cold Heart of the Klondike, had an intro that reminded me a lot of something that Nightwish would have written. This is probably because it starts out with primarily the keyboards and then gradually goes into violins paired with dramatic choir vocals, and that’s something I would expect to hear on any kind of symphonic metal album. While I greatly enjoyed these small bits of fast and epic music, it’s primarily what I looked forward while listening to this album. I felt that the tracks were much too long and kind of dragged out after a while. The only tracked I really enjoyed listening to was their single release, A Lifetime of Adventure. To me, it was the most memorable because it had the most vocals and didn’t drag out for too long. While the other songs were done beautifully, they were just entirely too long and repetitive for my liking. Overall, this album was a great listen. I highly recommend picking it up once it is released next month if you are a fan of symphonic, folk, or power metal. A Lifetime of Adventure has a music video out if you want to preview what the album actually sounds like as well. I was impressed by the musicianship and overall quality of this album, and I hope Tuomas Holopainen continues to make more solo records. 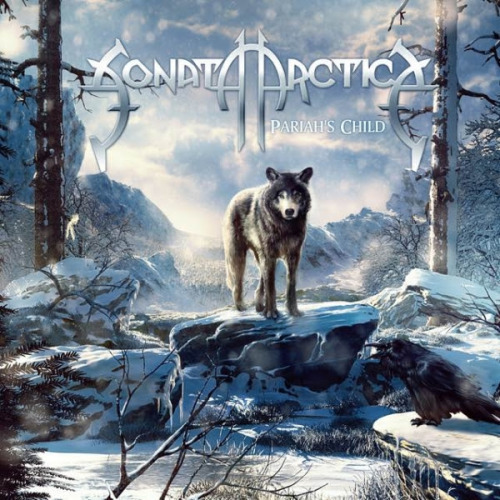 Sonata Arctica are set to release their eighth studio album, entitled Pariah’s Child, at the end of the month. The album is the follow up to the band’s 2012 release Stones Grow Her Name. The band recently release a single from the new album titled Wolves Die Young and the band have now released the second single from the album. The single, titled Cloud Factory, is available for listening down below. The official video for wolves Die Young can be viewed down below as well. Pariah’s Child was recorded and produced by the band at Studio 57 in Alaveteli, Finland. The mix was done by the band’s new bass player Kauppinen. As always it’s pretty hard coming up with a name for the new baby. I tried to approach it from many angles; how this is our 8th album and how easy it would be to abuse that fact. All the symbolism of figure eight, eternity and so on. But that just did not feel right as it’s been done so many times. Then I started to think how we’d in ways abandoned our “totem animal”, the wolf and all what comes with the territory. As the music on the album is bowing more towards the “old” Sonata, meaning more power metal style elements and wolves in many of the songs in one form or another, it was clear we need a wolf on the cover. An abandoned wolf. A pariah. Or Pariah’s child, actually. The new generation to bring the old logo back. It’s been a while since we last toured Europe, so I’m very happy that we can announce our first tour with our new album. Since the album will be out in March 2014, we don’t want to waste any time but will head out for a full European Tour. Our tour will start in Eindhoven, NL on April 10th, 2014. The whole band is really looking forward to play some new songs for you and introduce our new bass player, Pasi, for all our fans. He’s a monster live, you’ll see. Check below for the tourdates and we’ll see you in a few months!